pamperedpetpresents has no other items for sale. The Frontline 287410 is a medicine for cats and kittens that are eight weeks old. 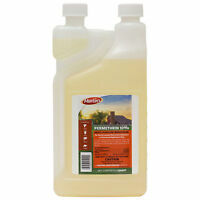 This preventative kills fleas, flea eggs, ticks, and chewing lice, which cause extreme discomfort to your pet. This topical treatment safeguards your pet by breaking the flea life cycle and can be applied once a month. There are 18,713 items available. Please enter a number less than or equal to 18,713. Great price, free 2-day shipping. Terrific - thank you! Exactly as described. Fast shipping. Packaged securely. Item as described. Fast Shipping. Thank you! Great value, but I wished Frontline helped with more than just fleas. Keeps fleas off all season as long as is applied same day every month. I have four cats and no issues ever. I buy this when money is tight and I cannot afford Revolution from the vet (They are $20 a treatment). I do wish the Frontline helped with ear mites, heartworms, mosquitoes, and other pests like the Revolution does. Other than that, good product! My cat was full of fleas, I purchased frontline, as I tough I should of trust the brand…after 2 days my cat still had fleas. Not as many as before, he actually scratched himself little less, but still had some fleas running around him. Not really what I was expecting from this product. Especially as it is so expansive, compared to other generic brands, probably just as effective. Next time I will just use a fleas comb, cheaper, effective, and much more ecological. I have a long hair cat she is a maine coone she has had fleas since she was a kitten i tried giving her a bath and she went a little crazy. This is the 3rd month i used it on her i see a big difference and i bombed my home put the meds her and my outside cat she is only a year old still and now it looks like some eggs hatched cause she had some babys crawling on her stomach and i could tell they just hatched . So i really dont know what else to do but get her shaved. But i hope the problem and the frontline will most likely get rid off it eventually..
To keep your cats free of fleas treat them monthly with this kind of flea treatment or, prescription strength. And add a flea collar. Liquid and tablet flea meds need more than just that. Add that flea collar for extra flea protection. Frontline is my Vet's recommended product, given that some alternatives can cause seizures. My cat has super sensitive skin, thinking she has allergies and particular allergies from fleas, and this fixes her up completely. It has saved her life, as she was digging away at her skin. I see no reason to use anything else.